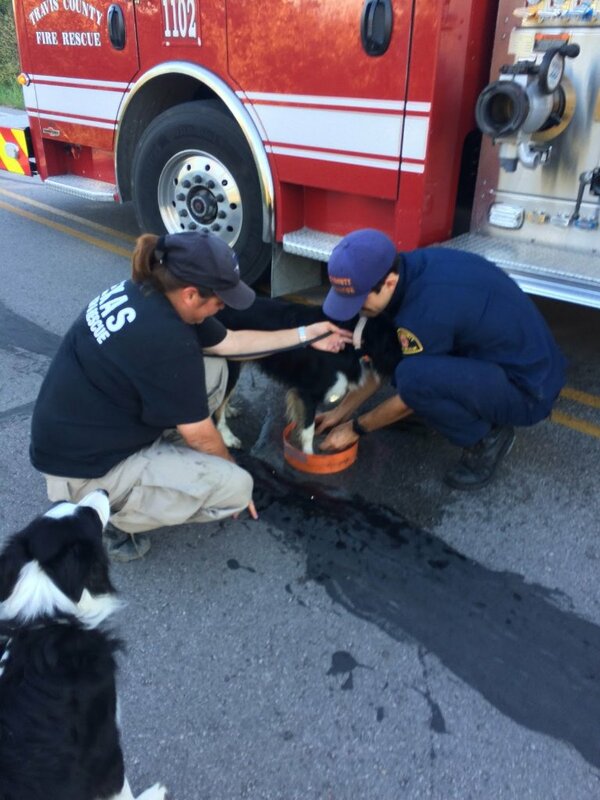 K9 handler, Jennifer Blanton, and Travis County Fire Rescue attend to the K9’s during a search on October, 30th, 2016 in southeast Travis County, TX. Austin, TX — Skeletal remains were discovered this weekend by TEXSAR cadaver dogs. At the request of Travis County Sheriff’s Office, TEXSAR, Texas Search and Rescue, was tasked with searching an area off of Maha Loop in southeast Austin. The search area was determined after officials received a tip that indicated 33-year-old Paul Michael Longoria, of Creedmoor, had been murdered and his remains could be found in a wooded portion of the area.